Retired Sgt. Robert Jerome Samuel departed from this life to be with his Lord and Savior on Thursday, July 19, 2018. Sgt. Samuel was born December 19, 1948 at Lakeside Hospital in DeFuniak Springs, Florida to Herbert and Mary Frances Samuel and was the firstborn of their three children. He graduated from Tivoli High School in 1968 and was quickly drafted into the United States Army to serve in the war against Viet-Nam. He grew to love the military and decided to remain enlisted and made a career of it. His specialty was communications and it was evident in his love for all the newest communication and media devices that could be found. He retired from his beloved Army on September 30, 1988 after serving and traveling all over the world to include two (2) tours in Germany, and single tours in Sweden, England and Japan to name a few. Although his college entrance was cut due to war he eventually returned to college and earned his degree in Business from The University of Texas at Austin. Upon retirement he returned from Austin, Texas to his hometown. Not wanting to be idle he used his leadership skills and vast knowledge to become a supervisor in the sanitation department at Perdue Farms for a time until his health caused him to retire in 1995. “Sarge” as he was affectionately called had an immense love for music (jazz and smooth R&B), travel and good science fiction/horror film and tv. He always had a smile and word of encouragement and wisdom for all who needed it. He is preceded in death by his parents; Herbert and Mary Samuel; and sister, Mrs. Kathy L. Samuel Parrimon. 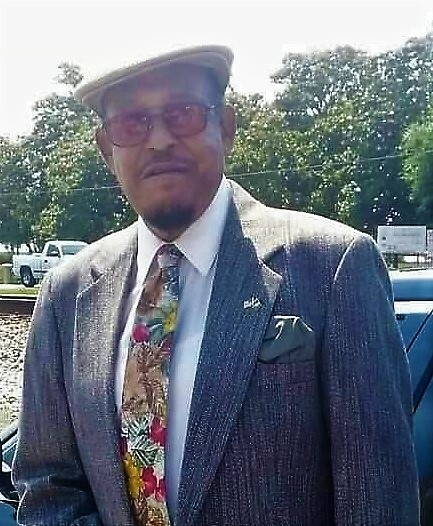 Left to mourn his passing are his wife Jimmie Nell Samuel; one son, Robert Jerome Samuel, II (Victoria) of Austin, TX; one step-son, Travis Williams of DeFuniak Springs, FL; one sister, Mrs. Patsy Samuel Tillery (Victor) of San Antonio, TX; Five sisters-in-law, Wilma Sanders, Betty Sanders, Mary Jackson, Emma Washington (Ken) and Barbara Williams, all of DeFuniak Springs, FL; his wonderful granddaughter Jordan Nicole Samuel of Austin, TX; step-grandchildren Laila, Lana, Laiana, and Lamirious of DeFuniak Springs, FL; Nieces, Victoria Tillery-Davis (Michael) of Daytona Beach, FL, Danielle Tillery-Custodio (Israel) of San Antonio, TX, and Ashley Parrimon of DeFuniak Springs, FL; nephew, Herbert E. Parrimon (Juliasa) of Bradenton, FL; a host of nieces, nephews, cousins and very dear friends. A time of visitation will be held Thursday, July 26, 2018 in the chapel of Davis-Watkins Funeral Home, 1474 Highway 83 North, DeFuniak Springs, Florida 32433 from 6:00 until 7:00 p.m. Funeral services will be held at the Greater St. Joseph Church, 117 Graham Avenue, DeFuniak Springs, Florida 32433 Friday, July 27 beginning at 2 p.m. Committal services will be held Monday, July 30, 2018 at Barrancas National Cemetery beginning at 11 a.m. with full military honors provided by the United States Army.